Sangre de Cristo seminary intentionally maintains a small community of 10-12 students and their families in order to facilitate Christian fellowship and one-on-one teacher to student interaction. In order to maintain this number of students, we only accept 4 new students per year. We often have a waiting list of students who have been accepted and are waiting for a slot to open. 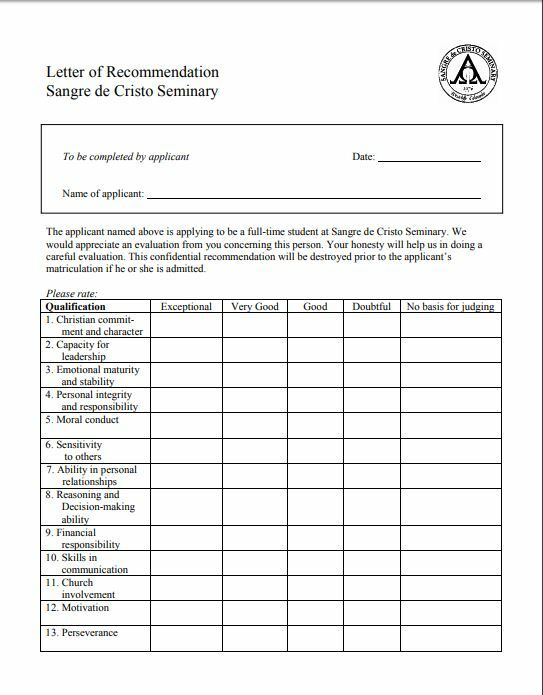 If you feel as though the Lord may be calling you to come to Sangre de Cristo Seminary, please apply. 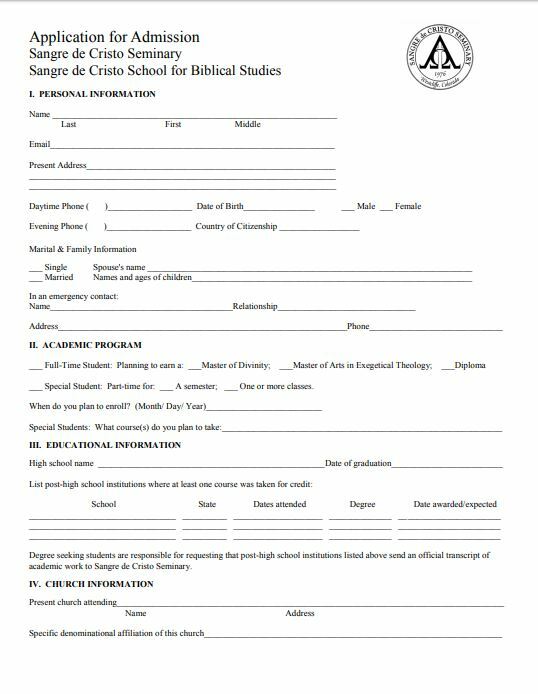 Below are the application and reference form. You will need to mail in the application with a $25 fee and have at least three reference forms submitted on your behalf.